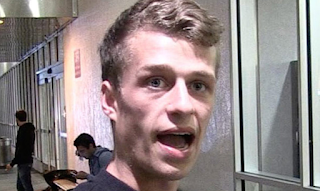 Conrad Hilton sentenced to community service for mid-air meltdown on a flight from London to Los Angeles last year. Paris Hilton's youngest brother, Conrad, has been sentenced to community service and a $5,000 fine for disrupting a flight from London to Los Angeles last year. The 21-year-old was ordered Tuesday to complete 750 hours of community service and undergo mental health and substance abuse treatment. He pleaded guilty in March to misdemeanor assault. Authorities say Hilton was on a British Airways flight in July when he called other passengers "peasants" and threatened to kill crew members. Flight attendants handcuffed him. In court, the hotel fortune heir apologized and promised it wouldn't happen again. Hilton still faces Riverside County charges of reckless driving and evading police for an August chase that ended with him breaking a hand when his BMW hit a car and a big rig.